This has got to be one of the most beautiful and eye catching covers for 2019 - and the story inside is as just as spellbinding. Set in 1612, I was immediately drawn deep into the world of witch trials and turbulent political times. Halls' depicts the historical setting with ease, well observed details are effortlessly woven into the sentences and dialogue so the reader feels immersed within the period and completely caught up in the predicament of the main characters. 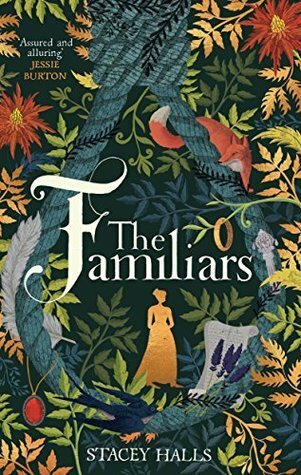 The Familiars may be set four hundred years ago, but it is immensely readable, exploring the universal themes of pregnancy, motherhood, treatment of women, marriage and power. The opening chapters introduce us to Fleetwood Shutleworth - 17, pregnant for the forth time and terrified that, as with her previous pregnancies, she will lose this baby as well. Such a raw and emotive opening immediately creates a sense of sympathy and fear for her, further complicated by the revelation that Fleetwood's husband has hidden a note from the doctor who delivered her third stillbirth and states she will not survive another pregnancy. Fleetwood's health is in danger, but her desire for a child is overwhelming. Then she meets Alice Gray, an unassuming, calm and quiet woman who is a midwife and promises to help Fleetwood deliver a healthy baby. 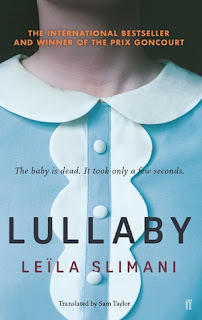 Her methods are unusual, defy medical advice from the physician and anger Fleetwood's husband, but the women form a strong bond and Fleetwood is determined to let Alice stay in their home until she has had her child. From this moment on, the lives of the women become more entwined - and soon it is not just the life of the unborn baby which is at risk. Halls' debut is impressive. Her writing is confident and compelling. The Familiars explores the personal and emotional journeys of Fleetwood and Alice with accomplished prose which, quietly and in a most unsettling way, creates a sense of pending doom. The lives of the women are precarious and fragile in different ways and yet they form a bond where they are determined to defy the rules, even when it puts them in danger and makes them more vulnerable. As the pregnancy continues, so do the accusations of witchcraft which are sweeping the nation. Halls expertly spins a captivating tale about two engaging characters against a fascinating period in history. Challenging, fascinating and ultimately truly engaging, Halls' story of witchcraft, the role of women and the debate between physicians and alternative therapists provides a vivid premise in which to explore an unlikely yet life changing friendship. Fluent, well paced and beautifully imagined, this is a real treat for anyone who enjoys historical fiction- and also for all those who do not normally choose this genre. Highly recommend, and Halls is definitely a writer to watch. My huge thanks to Bonnier for an advance copy of the novel.